Khris Middleton hadn’t even attempted a shot in the fourth quarter, but after a scramble, the ball wound up in Middleton’s hands and he buried a three-pointer from the top to give the Milwaukee Bucks a 116-113 win over the Chicago Bulls. Point guard Eric Bledsoe tapped a missed shot out to Malcolm Brogdon. Brogdon then kicked the ball back to Middleton who buried the game winner with 5.2 seconds left. Middleton finished with 17 points. Brogdon had 24, including all six of his three-point attempts. Giannis Antetokounmpo led the way with 36 points, 11 rebounds and eight assists to lead the way. The Bucks improved to 15-6 with the win. Zach Lavine and Jabari Parker had 24 points each in defeat for the Bulls. 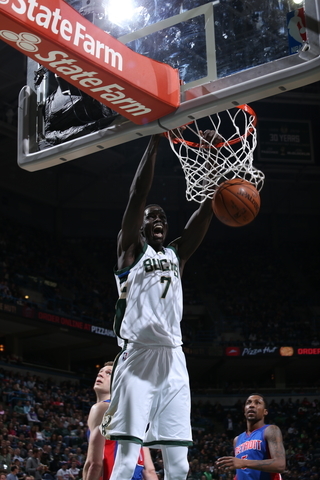 Milwaukee is off until Saturday when they take on the Knicks in New York. According to multiple reports, the Milwaukee Bucks have reached an agreement with Mike Budenholzer to become the 16th head coach in franchise history. The deal was first reported by ESPN, which said Budenholzer’s deal will cover four years. The 48-year-old Budenholzer was one of two finalists, along with San Antonio Spurs assistant Ettore Messina, to be interviews a second time by Bucks G.M. Jon Horst as well as the Bucks ownership team. 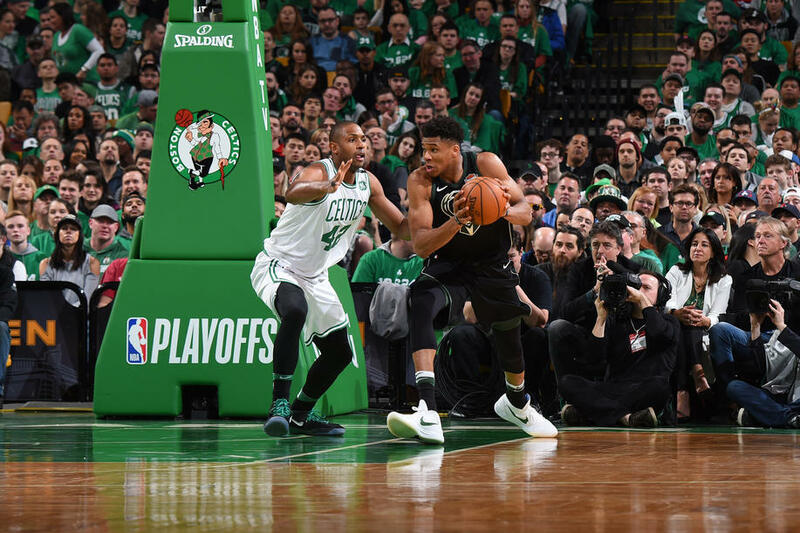 Following Saturday’s 112-96, game seven loss to the Boston Celtics, the Milwaukee Bucks are out of the playoffs and contemplating the upcoming decisions they need to make during the offseason. Bucks players returned to Milwaukee on Sunday to undergo physicals and went through exit interviews before heading out for the summer. It was a disappointing season for the Bucks (44-38), who for the 17th straight year, failed to advance out of the first round of the NBA playoffs. 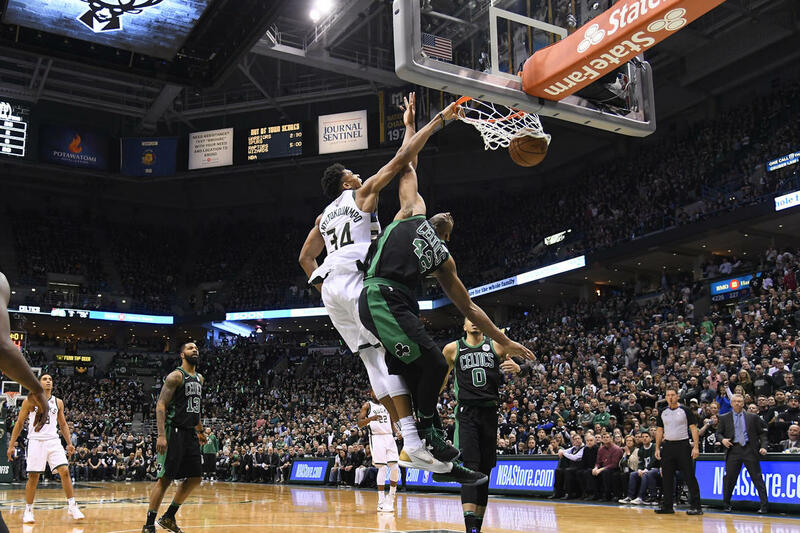 Malcolm Brogdon told reporters on Sunday that the goal was the Eastern Conference finals. Their first round exit left them well short. Now Bucks management will have to decide on a head coach. Joe Prunty took over near midseason on an interim basis for the fired Jason Kidd. Now Prunty will have to interview, among others, for the permanent head coaching position. Since Prunty took over, the Bucks went 21-16 to finish the regular season, then went 3-4 in the playoffs against the Celtics. 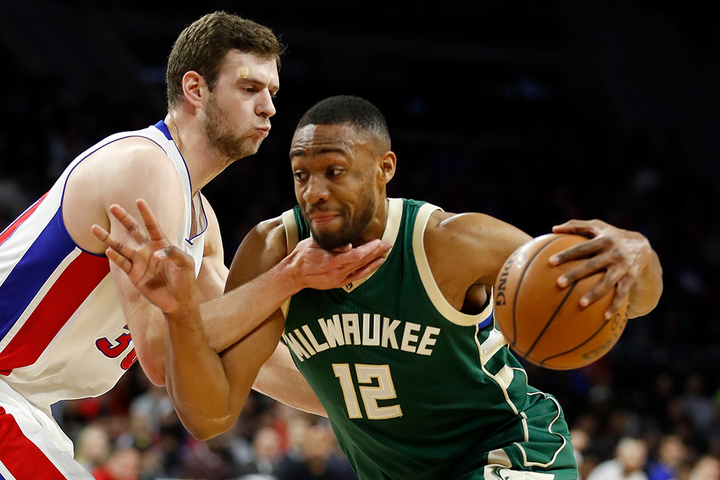 The Bucks will also have to decide if they want to keep Jabari Parker, and at what price? Parker played 31 games this season after rebounding from a second torn ACL. He averaged 12.6 points and 4.9 rebounds in 24 minutes per game in the regular season. As the Milwaukee Bucks host the Boston Celtics in game three (8:30 p.m.) of their best-of-7 playoff series tonight, coach Joe Prunty will have to deal with a disgruntled player. The Bucks level of intensity in the first two games of the series has been called into question, led by reserve forward Jabari Parker. Since returning from an ACL injury, Parker has averaged 19.5 points and 8.2 rebounds while averaging 31 minutes in 31 games. But in games one and two of their playoff series in Boston, Parker has averaged just over 12-minutes a game. As Parker sat on the Bucks bench, he was visibly upset about his lack of playing time and Thursday, he opened up to reporters, saying it’s hard to play four minutes at a time and get into a groove. Khris Middleton’s long buzzer-beating three-pointer forced overtime, but the Milwaukee Bucks couldn’t finish the deal, falling to the Boston Celtics 113-107 on Sunday afternoon. The Bucks were down by 10 points with less than 4 1/2 minutes to play, when they went on a 8-0 run to get back within striking distance. With 11.1 seconds left, Malcolm Brogdon tied the game with a three-pointer. Boston’s Terry Rozier bounced back to hit a three-pointer of his own with 0.5 seconds left before Middleton responded with his 35-footer to force overtime. Giannis Antetokounmpo led the Bucks with 35 points, 13 rebounds and seven assists before fouling out late in overtime. Middleton added 31 points, eight rebounds and six assists. Brogdon is the only other Bucks player in double figures with 16 points. The Philadelphia 76ers put 80 points on the board in the first half on Wednesday night and rolled to a 130-95 win over the Milwaukee Bucks in the regular season finale at the Wells Fargo Center. The 76ers led 80-44 at the break and extended their franchise-record win streak to 16 straight games, locking up the third seed in the Eastern Conference. Justin Anderson led the Sixers with 25 points and Dario Saric added 24. Markelle Fultz had his first NBA triple-double with 13 points, 10 rebounds and 10 assists in the win. 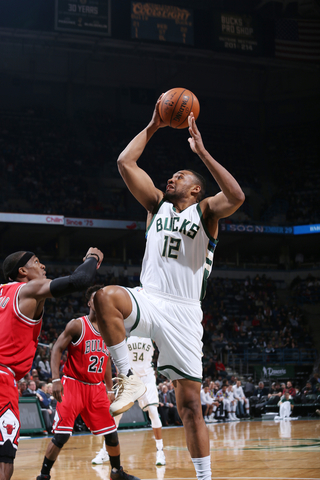 Jabari Parker had 25 points to lead the Bucks, who finished the regular season with a 44-38 record. The Bucks are the seven seed in the Eastern Conference and will open the playoffs against the Boston Celtics. Philadelphia opens against the Miami Heat. The Milwaukee Bucks clinched a playoff spot on Wednesday without playing a game. With four games left to play, they still could have a say in who they’ll face in the opening round of the playoffs. But you would never know it by the way they played Thursday night, falling to the Brooklyn Nets 119-111 at the Bradley Center. The Nets, who have been eliminated from any post-season thoughts long ago, should have been the team that was playing out the string. Instead, it was the Bucks, who continue to show a lack of energy and lack of desire on the defensive end of the floor. Defending the three-point shot has been a problem for the Bucks all season long. They talk about trying to fix it, but talk is cheap. The Milwaukee Bucks blew a 18-point fourth quarter lead and fell to the Denver Nuggets 128-125 in overtime on Sunday night. It means the Bucks remain winless in Denver dating back to 2010. The Bucks had a three-point lead with 4.1 seconds to play with the ball. But Khris Middleton’s inbound pass was intercepted and Jamal Murray fired an off-balance three that missed its mark. But Jason Terry was called for a foul and Murray made all three free throws to send the game to overtime. The Nuggets scored the first five points and led by as many as seven points in the overtime and held on for the win. The Bucks got 35 points from Jabari Parker and 27 points from Eric Bledsoe. Nikola Jokic had 35 points and 13 rebounds and Murray finished with 27 points in the Denver victory. Giannis Antetokounmpo fouled out with 3:43 left and was then ejected with a technical foul for voicing his displeasure with the call. Once Giannis was gone, the Bucks were not able to hold off the Nuggets comeback. The Bucks finished their trip out west with a 2-2 record. They fell back into 8th place in the Eastern Conference playoff chase. Milwaukee (41-36) returns to the Bradley Center on Tuesday night to face the Boston Celtics (53-23).